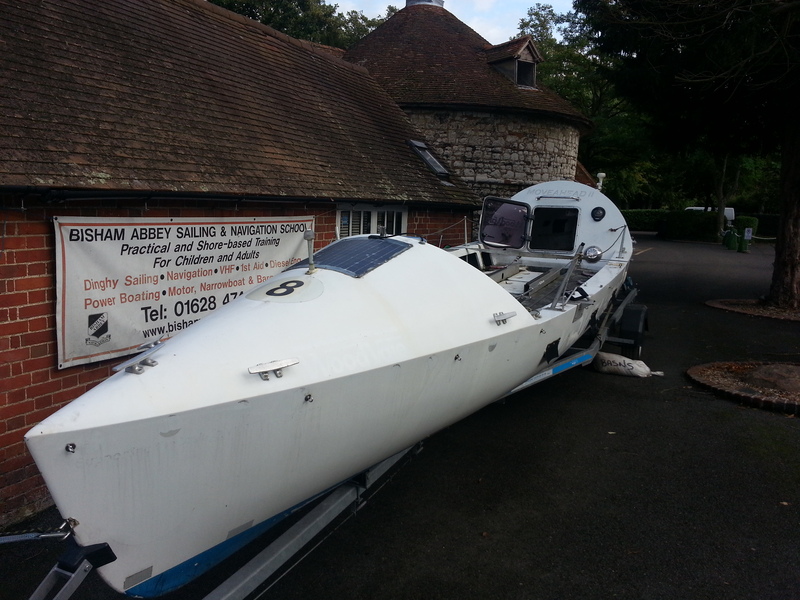 Some very good news this week and we are delighted to announce that our training boat has now arrived at Bisham Abbey Sailing and Navigation School. 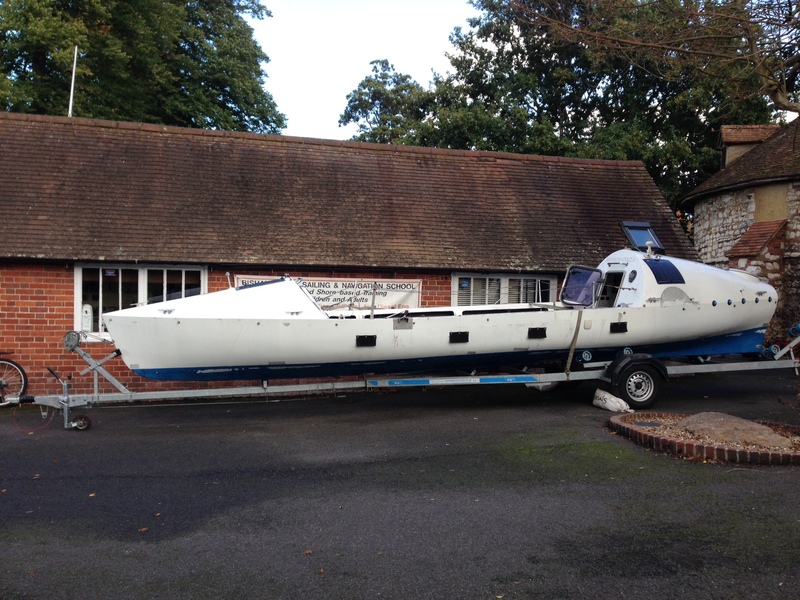 The boat has kindly been loaned to us by Oceanus Rowing, and is a Woodvale fours boat. The boat itself is slightly bigger than the one being built for us by Rossiter’s, (29 foot versus 23 foot long, and 6 foot wide) but perfect for giving us an idea of what it will be like to live on as four girls over the 8 months that we are away at sea on the Pacific Ocean next year. The next few weeks we will be busily cleaning up and kitting out the boat, ready for our team training and for the Henley Living Advent Calendar throughout December when the boat will go on display throughout our hometown of Henley-On-Thames. Our 29 foot long, 6 foot wide ocean rowing boat. Once she is cleaned up and kitted out, she will be all ready for the team to train on and to go on display throughout the Henley Living Advent Calendar in December.